Did you know that a woman's body shape, like an apple, can increase Heart Attack rick? 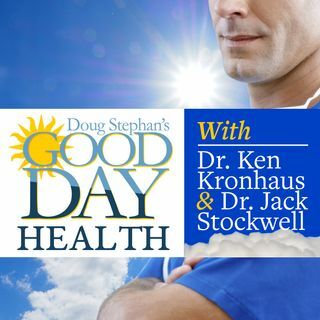 Host Doug Stephan and Dr. Ken Kronhaus cover that, and a new study that shows that standing at your desk may not be as healthy for you, as once thought. One in fourteen women smokes during pregnancy, and there are serious risks. Dr. Ken proclaims that with modern treatments, Congenital Heart Disease may no longer be a death sentence. Learn all about Varicose Veins and how to deal them. There is a Heart ... See More Healthy diet that includes poultry, seafood and red meat.